The GBP/USD pair once again failed to sustain early up-move beyond the 1.3200 handle and has now retreated over 60-pips from session tops. 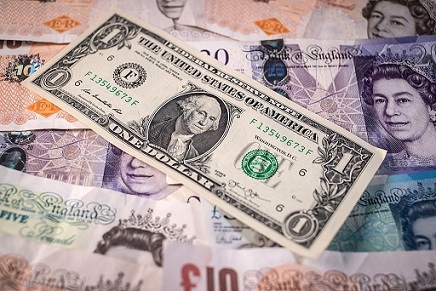 The market seems to have fully digested the latest Brexit development, wherein the UK PM Theresa May and the EU Commission agreed to speed up negotiations, while a strong follow through US Dollar buying interest kept a lid on the pair's early up-move. Against the backdrop of optimism over the US tax reforms, Catalonia stand-off was seen lending support to the greenback's reserve currency status and has been one of the key factors weighing on the major. Meanwhile, the British Pound was also being weighed down by today's dismal UK CBI manufacturing survey, with the index dropping sharply to -2 for Oct. as compared to September's reading of +7. In absence of any economic releases from the US, additional downslide, in wake of prevalent strong bullish sentiment around the buck, now seems a distinct possibility. On a sustained weakness below 1.3155-50 area the pair is likely to challenge the 1.3100 handle before eventually aiming to test 100-day SMA support near the 1.3050 region. Meanwhile, on the upside, the 1.3200 handle remains immediate strong hurdle to clear, above which a bout of short-covering is likely to accelerate the up-move towards 1.3285-90 strong supply zone.